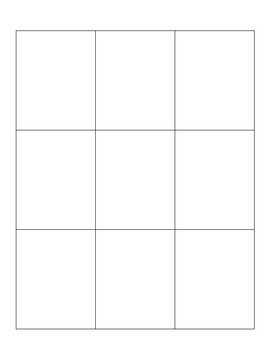 Jobs / Community Helpers Tic-Tac-Toe / Bingo is a fun way to teach job vocabulary. 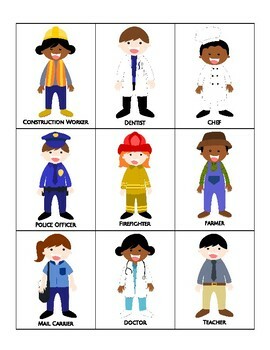 Include it as an extension to your social studies lesson or have fun learning more about community helpers and careers. Students cut and paste characters to make a custom board. Option 1: Teacher calls out a job title and student marks the corresponding job. First to get 3 in a row wins. Option 2: Students play in pairs without seeing the gameboard of their partner. Student 1 names a job for Student 2 to mark. Student 2 chooses and job for Student 1 to mark. Students alternate until one has 3 in a row.